Am Fear Liath Mor, The Big Grey Man, or sometimes called "The Big Grey Man of Ben MacDui" is one of Scotland's most enduring and most puzzling legends. The mystery dates back to 1925 when Professor John Norman Collie FRS, a renowned climber and scientist, published an account of an encounter he had had 35 years earlier while climbing alone near the peak of Ben MacDui in the Scottish Cairngorms. 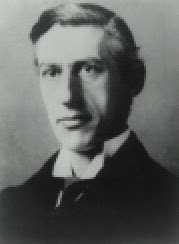 John Norman Collie was by profession a scientist and a fellow of the Royal Society of London for Improving Natural Knowledge, or simply The Royal Society. He had a PhD in chemistry and served as Professor of Organic Chemistry at University College London from 1896 - 1913 after which he served as the head of its chemistry department from 1913 - 1928. Collie's pioneering work included research that led to the first use of an x-ray for diagnosing medical conditions. But Collie was also a respected and experienced climber and mountaineer, who had climbed in some of the greatest mountain ranges of the world and survived a number of dangerous incidents. In 1895 Collie and two others travelled to the Himalayas to make the world's first attempt at the 8000 metre peak of Nanga Parbat. Three of the party were swept away in an avalanche and never seen again. Collie was to recount this experience in his book "From the Himalaya to Skye". Collie was also a veteran of the Canadian Rockies. Between 1897 and 1911 he travelled to Canada five times. He is credited with 21 "first ascents" and named over 30 peaks. In 1903 Collie and another published an authoritative book on the region "Explorations in the Canadian Rockies". In addition to being elected a fellow of the Royal Society, Collie was a Fellow of the Royal Geographical Society, President of the Alpine Club, and was a member of the Mount Everest Committee. However, it wasn't until 1925, while he was head of Chemistry at University College London, that Collie gave an account of one of the most terrifying and inexplicable incidents that had befallen him anywhere during his career as a mountaineer. 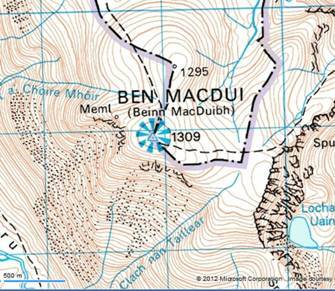 It had happened 35 years earlier, when Collie was climbing near the summit of Ben MacDui. Collie said: "I began to think I heard something else than merely the noise of my own footsteps. For every few steps I took I heard a crunch, and then another crunch as if someone was walking after me but taking steps three or four times the length of my own." Collie was unable to make out the source of the noises because of mist. He continued "... as the eerie crunch, crunch, sounded behind me, I was seized with terror and took to my heels, staggering blindly among the boulders for four or five miles." The peaks of the Cairngorms are extremely isolated. Whatever the truth of what Collie encountered, it is certainly the case that the Scottish Cairngorms are some of the most isolated places in Britain, almost untouched by the influence of man. The weather can change suddenly, clouds can come in and the visibility can drop to almost nothing. For these reasons the peaks should only be attempted by the most experienced climbers. Some have suggested that the creature that Collie described, which was given the name Am Fear Liath Mor may be related to the "Wudewas" or "Woodmen" who have featured in European literature and art since medieval times. 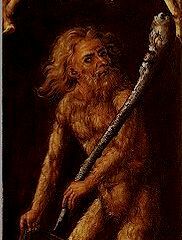 Such wildmen were consistently depicted from the 12th Century as being covered with hair. Images of them also appear carved in the roof bosses in Canterbury Cathedral. They continued to be depicted on heraldic coats of arms and were often depicted by Renaissance engravers such as Albrecht Durer (1471 - 1528). Others posit that what Collie encountered was some kind of supernatural presence, which would account for him not being able to see the being he encountered despite hearing its footsteps. For now though it seems as though the questions will remain unanswered: did John Norman Collie encounter something near the summit of Ben MacDui in 1890, an encounter that he kept secret for 35 years? If so, was what he countered benign, or malevolent? And, perhaps most intriguingly, if Am Fear Liath Mor does exist, where is he, or it, now?